This summer was almost like no summer at all, even though it was warm, we had lots of cool cloudy and rainy days, but somehow they just seemed unbalanced. All of the sudden it seemed the last day of August and now into September that Autumn abruptly returned. Even though the weather is nice, it still feels that Winter is just around the corner, and somehow to me that it will be a much longer winter than it has been here for a very long time. 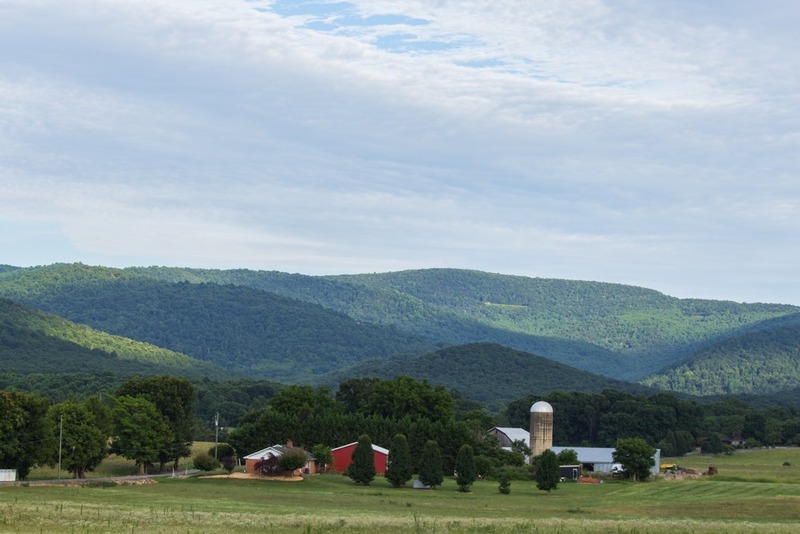 Often in this part of Virginia, winter has a way of showing up in January to March (wonderful short winter). In years past I remember the big thing was homes all around would hold out to see how long they could get their Geraniums to last on year about 15 years ago some made it up to about 2 weeks before Christmas, that is not to say there was not a lot of sheets thrown over plants during that time at night. Then several years ago was the year that we did not think that fall was coming, because Bradford Pear trees kept their leave up into mid December. This year just seems different for some reason, the air has little humidity, trees look like they want to get ready to shed their leaves, boy I hate long winters here, I hope that I am wrong, however we are powerless to do much about it. You just have to make the best of it and wait for Spring again. The weather people have talked about above average snow fall here, something we have not seen in many years. The only wonderful thing about that is walking in the middle of the night with a gentle snow falling, the roads are packed with ice and snow, then like the miracle of Winter, the Old Order Mennonites are out in force all through the days and nights with the horse drawn sleighs on the roads, often times you can get lucky and if you are out walking they will pick you up to go sleigh riding, trying to get in all they can before the snow plows come by. I have a friend Karyn Bennett, that lives on a farm in New Hampshire. She owns Lizzy Lane Farm. 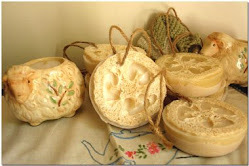 Karyn make handmade soaps. She does a very good job of everything he undertakes and soaps are one of them. Her latest creation is a Rose Scented Oatmeal Soap. You can order her soaps through her selling blog, Lizzy Lane Farm Store. The Lizzy Lane Farm Store also offers a variety of other handmade items by Karyn. 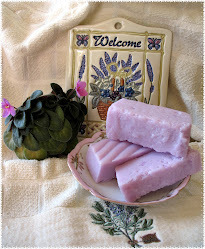 Other soaps available are Lavender Spa Bars, Loofa Soaps which are available in Lilac and Summer Grapefruit. 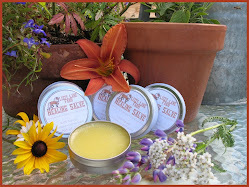 Karyn also makes a wonderful healing salve, which is made from all natural and organic ingredients. which include the following. Comfrey, Jewelweed, Chamomile, Calendula & Lavender infused in a grape seed oil, beeswax, tee tree, Essential oils and Vitamin E.
Karyn has a very interesting Blog on Farm Life on a Rural New Hampshire farm, I am sure everyone will find something of interest there.